Early bird pricing for Affiliate Summit West 2009, taking place January 11-13, 2009 in Las Vegas, ends next Sunday. The Keynote Speaker will be Gary Vaynerchuk, star of Wine Library TV and Director of Operations at Wine Library in Springfield, NJ. The Early Bird registration rates of $949 (Platinum Pass), $349 (Gold Pass), and $149 (Silver Pass) are going up after October 5. Starting October 6, the rates to register for Affiliate Summit will be $1,249 (Platinum Pass), $549 (Gold Pass), and $349 (Silver Pass). For a description of the available pass types see http://www.affiliatesummit.com/09w_conference.php. booths will increase from $4,195 to $5,195 and 10′ x 20′ booths will increase from $6,295 to $7,795 starting on October 6. Pricing for other booths, as well as the Affiliate Meet Market and the Merchant Mart are also increasing after October 5. Other Affiliate Summit sponsorships are also available. See http://www.affiliatesummit.com/09w_exhibitors.php for details. Rooms at the Rio All-Suite Hotel & Casino are available at an Affiliate Summit group rate of $159 a night until December 9 (or the block has reached capacity). After that, the hotel will charge the prevailing rate. Gary Vaynerchuk, star of Wine Library TV and Director of Operations at Wine Library in Springfield, NJ, is going to be the keynote speaker at Affiliate Summit West 2009. The conference is taking place January 11-13, 2009 in Las Vegas. See a sample of Gary Vaynerchuk speaking at the recent Web 2.0 Expo in New York. Register for Affiliate Summit West 2009. Commission Junction has announced the winners of their CJYou Awards, which were presented at the annual Commission Junction University (CJU). 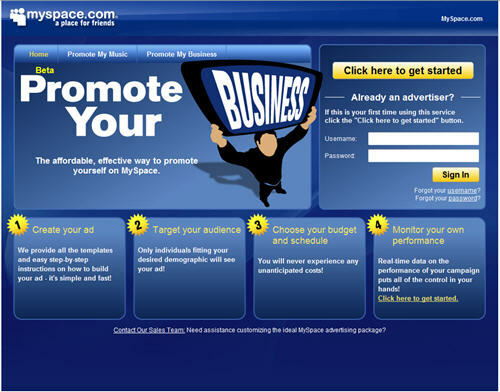 For more information on the 2008 CJYou award winners, go to www.cj.com/affiliatemarketingawards. Back in the 1990’s, I signed on with AOL for Internet access. I forget exactly when, but I think it was probably 1997. A couple years later, Comcast introduced broadband to my area, and I jumped on it. But I kept AOL, because my wife liked it, and I figured it would be a backup for when Comcast Internet went down, which was fairly often back then. Finally, my wife became a Gmail convert and closed the AOL account for good recently. And with it went my AIM names. I figured they would stick around, since they were free to people now. I was wrong. 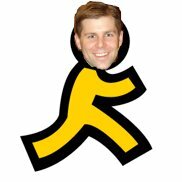 So anyway, if we were AIM buddies, I lost my buddy list and don’t have your user name. My new name is affsum.